Bradway Trucking is proud to announce our December Driver of the Month: Jaime Aszman started her driving career on June 8, 2007 after graduation from Bradway Truck Driving School. Before starting for Bradway Trucking on June 6, 2015 Jaime achieved the Gold Million from Prime Inc. for 1 million miles of safe driving. 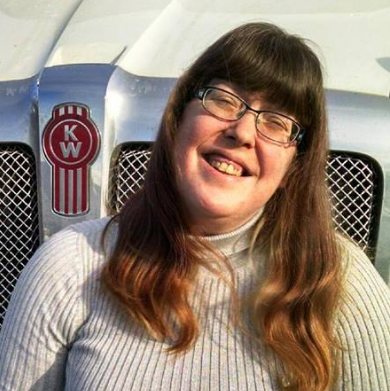 Her pleasant personality, cheerful smile and her commitment to safety and on-time performance makes Jaime a great candidate for driver of the month. Congratulations Jaime we are proud to have you in the Bradway family.